People on the lookout for a reliable and affordable VPN service, are well advised to check out NordVPN. And please check out VPNService's exclusive two year deal! Panama - Not a Fourteen Eyes Country AND Not an Enemy of the Internet. A VPN provider without a good server network is – well, basically, no VPN provider at all. NordVPN is well aware of this, and has been expanding its fleet of servers at a rapid pace. The number of servers outside of the EU zone has climbed steadily. Especially in the US. Which is good news for anyone who wants to stream US Netflix or BBC iPlayer without obstruction by geo blocks or streaming speeds. NordVPN at this moment has 2245 servers located in 56 different countries. The majority sits in the EU, but the count for North and South American territories is over 900. Asia and the Middle East lag behind a little, which makes sense when you look at which content people look for in general. NordVPN has apps available for almost any operating system. Anonymous VPN surfing for Android and iOS users is a breeze. And like the the Windows and OS X desktop version, apps are easy to install and operate. Linux users are a bit less lucky. Their app version takes a little more understanding of computer setups. Of course this shouldn’t be a problem for the average Linux fan. Especially when you see the quality of Linux tutorials. Using the VPN app is easy. 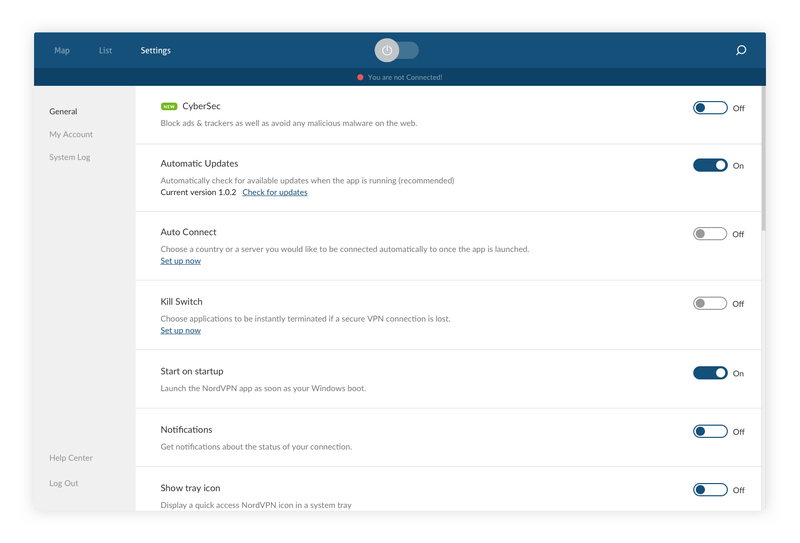 All versions run default settings when you first open them, making sure you can access VPN right from the start. Changing servers and server countries takes one click/touch, upon which the app automatically selects the server that has the best performance. A slight downside to these easy-to-use apps is they lack some of the more advanced options we find in other VPN services. Circumventing geoblocks is relatively easy when you use NordVPN. The company even offers a special ‘Smartplay function’ to help you do this. Which in essence is a built-in proxy designed to route your signal past geoblocks, straight into streaming services like Netflix. This function only works in the Windows and OS X apps, and also in the Android version, but in a limited way. The way Smartplay works is it combines a normal VPN connection with a dynamic DNS, optimising speeds on your connection. Smartplay is one of the defaults in the apps we mentioned, so make sure to switch it off when you have other plans than binging US Netflix. Speaking of which: NordVPN, like every other provider, is battled by the geo blocking efforts of the big streaming services. Providers need to update their servers (and the IP-addresses associated with those) regularly. NordVPN is particularly active on this front. Making it an interesting option for non-Americans to watch US Netflix from their homes. 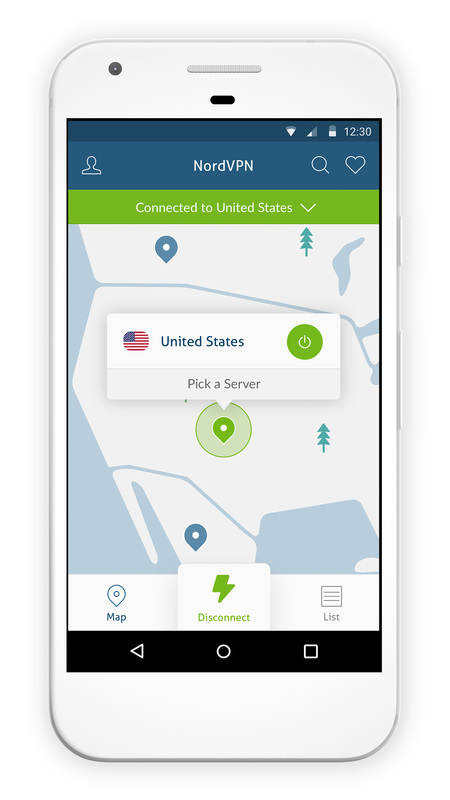 Most important US locations have NordVPN servers nearby. Making it easy for users to find a working VPN with the right speeds to stream movie content. NordVPN advertises itself as ‘the fastest VPN provider in the world’. But the truth of that statement really depends on the specific server you use. Speeds can be stellar, yet clearly drop when traffic on a specific server is high. Individual users will be quick to change servers to find better speeds elsewhere, but this situation clearly puts a dent in Nord’s statement. So, what exactly are the up- and download speeds for NordVPN users? In a nutshell: they are generally very acceptable, oftentimes very good, but the answer will always be dependent on the distance between you and the server you use, on what you use the server for, et cetera. Content streaming generally works fine, downloading through Bittorrent is a breeze, and most servers are very stable. Which makes the service a very good one, albeit not the ‘fastest’, at least not all the time. 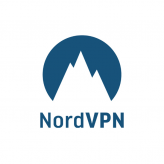 VPNService.com has the privilege of offering you an exclusive deal with NordVPN. An exclusive two year subscription, that you’ll not find in their store. This deal will save you 66% and offers NordVPN for $3.99 per month. Besides that, NordVPN offers three standard deals. The least expensive option is a one year subscription at $6.99 a month. Shorter subscriptions are possible, but you’ll pay more: $11.95 for a one-month subscription; and $9.00 per month when you opt for a contract of six months. If you wish to check out the service without committing to it, NordVPN offers a free three-day trial. Still on the fence about committing for a prolonged period of time? In that case their 30-day money-back guarantee has you covered. VPN’s of course exist to enhance online privacy and security, so how does NordVPN compare to others? We’re happy to say the company seems pretty legit on this account. Based in Panama, and committed to a strict ‘no-logging’ policy, most users will feel pretty safe using the service. Encryption protocols will give users even more confidence: NordVPN uses most modern protocols like OpenVPN, PPTP, L2TP/IPSec, and, more recently, IKEv2/IPSec. The latter provides the best safeguards at this moment – it’s Apple’s default to protect their iOS and Mac OS apps – and it makes NordVPN one of the safest VPN services around. A small note to Windows and VPN for Android users: your operating systems (somehow) favor OpenVPN over IKEv2/IPSec, but this can be solved with a few mouse clicks. NordVPN’s apps have a killswitch option, but this has come under scrutiny by the user community. The switch simply shuts down apps that use a VPN connection when the connection drops, but doesn’t seem to block outsiders from interacting with your computer once the apps are down. Data will likely get transferred without encryption (and/or without your consent) after the killswitch is engaged; something NordVPN is working on, we learned, but hasn’t implemented in new updates of its service yet. When we look at other security measures, we find interesting things like the possibility to use a TOR browser over VPN, a setup that gives data that’s already encrypted another twirl. Regular TOR users will frown at this idea, because both TOR and the extra layer of encryption procedure will seriously hamper your internet speeds, but for people that need maximum protection on their online traffic it can’t hurt to look into this possibility. You can find more info on testing your VPN connection in our dedicated article on this matter. One of NordVPN’s strong points is their assistance in circumventing geo blocks on large streaming services like US Netflix or the UK’s BBC iPlayer – something most VPN users value highly in their provider. Finding a VPN server to open a service like US Netflix is simple as pie, and download speeds are often impressive. 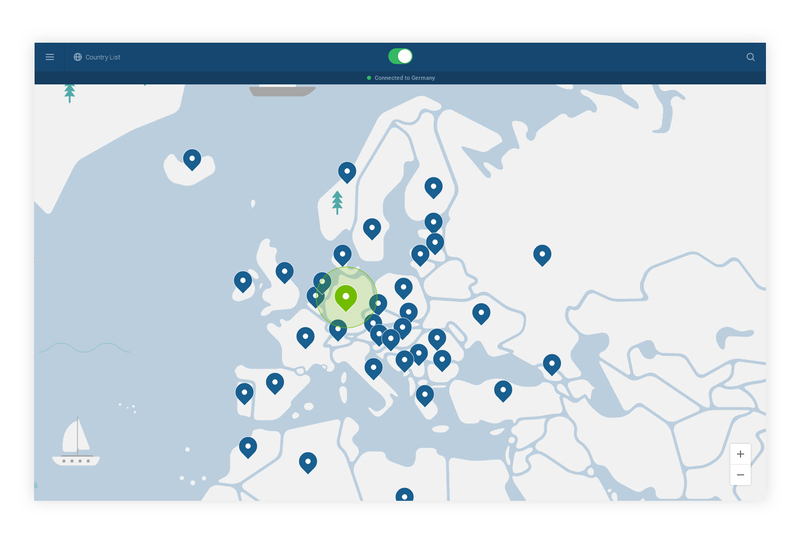 Bittorrent users will be pleased too: NordVPN’s level of encryption is top notch, and no DNS-leak was ever reported, which makes the service a relatively safe bet when you value your online privacy. NordVPN’s customer service is a proper 24/7 affair. Besides chat support, questions you’ll find a sizeable list of tutorials to help you with general questions. 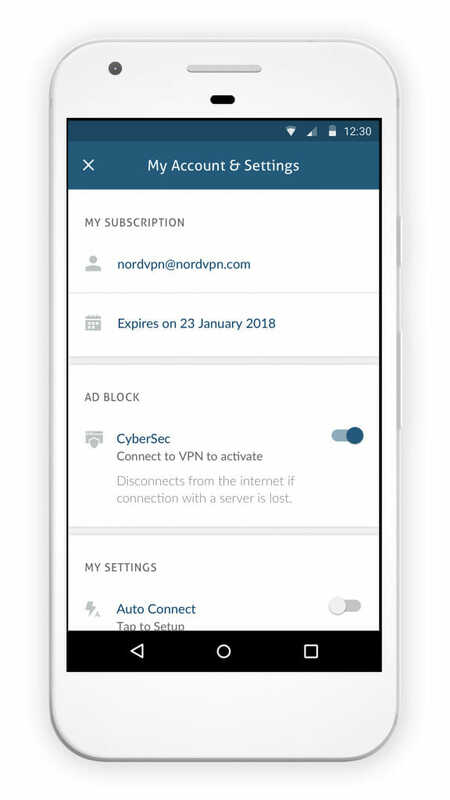 People on the lookout for a reliable and affordable VPN service (we discourage the use of free VPN), please check out NordVPN. The company’s apps are easy-to-use, and, but might be a bit simple for some users. Security-wise, the company is constantly looking for improvements in encryption and privacy:. The recent addition of IKEv2-encryption seriously adds to the quality and reliability of the service, and complaints (for instance about the security of their killswitch option), are taken seriously and dealt with sooner rather than later. Costs are very reasonable, especially when you subscribe to one of the many discount offers. 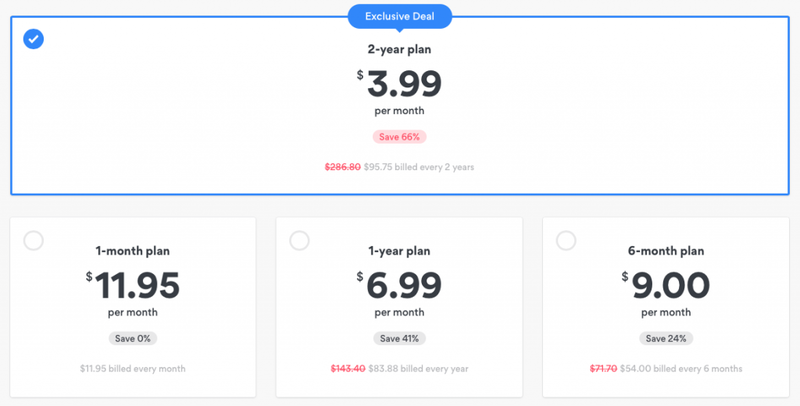 Add the free three-day trial to the equation, and you’ll soon reach the conclusion NordVPN has an offer that’s very hard to refuse.